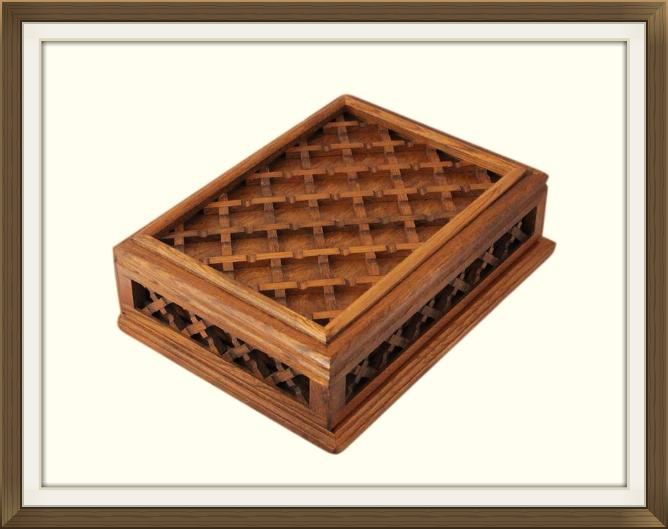 This is a stylish vintage jewellery box, made in Japan and dating to the mid 20th century. This box is made of beautiful Oak and has stylish trellis work to the lid and sides. This may appeal to ladies who love gardens! The Oak is solid, no veneer at all, and the bottom section of the box has lovely dovetail joints. 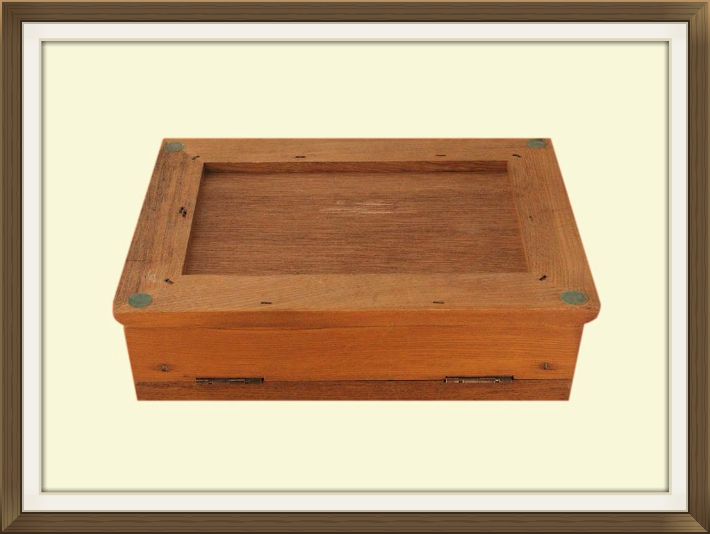 The box has a beautiful broad plinthed base with beveled edges and is complete with its original stop hinges. These prevent the lid from falling right back. The interior has 3 storage compartments as well as a ring storage section. The 2 long side compartments are ideal for laying out chains and linked bracelets, and the front centre compartment is ideal for earrings, pendants and brooches etc. 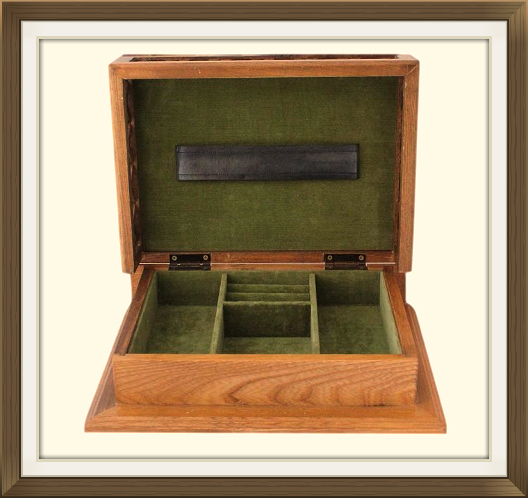 All of the compartments, ring storage section, and inside lid, have lovely sage green felt linings. There is a nice leather strap to the inside of the lid with decorative stitch effect detail. 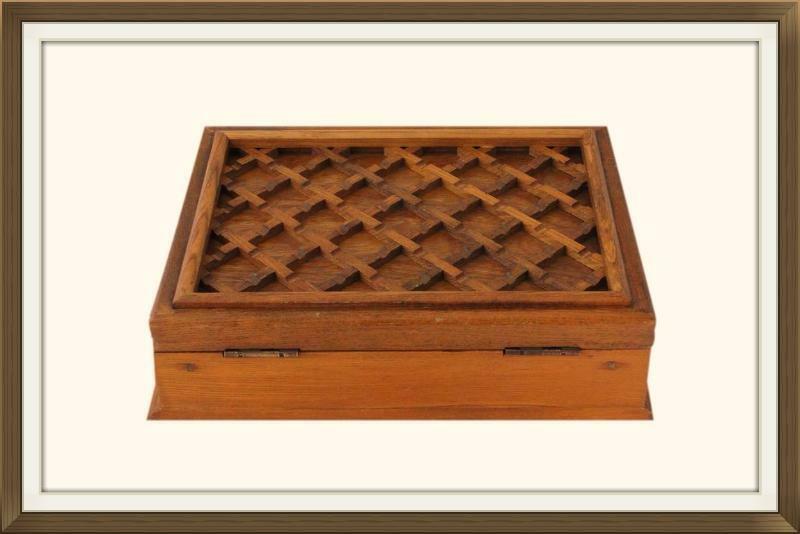 This lovely vintage box is in excellent condition for it 50 or so years of age. All of the trellis work is present and intact and the interior linings are in wonderful condition with no splits or stains! There is minor light age related wear / a few fine light scratches to the Oak. Nothing that is unsightly! 14.3 by 5.7cm with a 3.2cm depth. 8.7 by 7.0cm with a 3.2cm depth. International postage is £25, by International Tracked Post. Delivery is fast, within 3-5 working days to Europe, and 5-7 working days to the rest of the world.